Beneath flashing lights and the din of pinging slot machines, tech companies are trying to convince the world why the stuff they make matters. 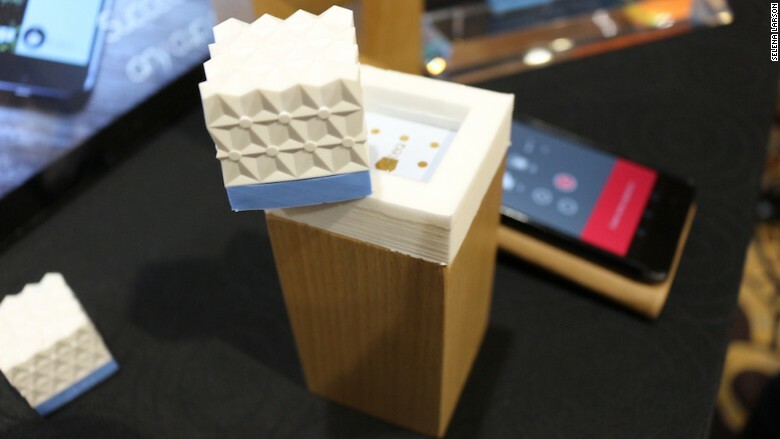 At CES 2017 in Las Vegas this week, technologists and marketers are showing off products claiming to solve problems and make our lives easier. The annual conference draws over 170,000 people to the desert, promising innovation and promoting The Next Big Thing. But each year, the conference seems more underwhelming -- and 2017 is no different. 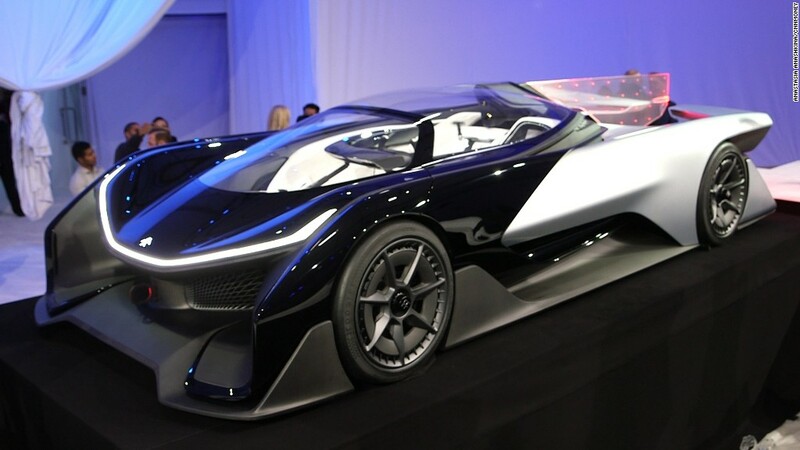 Unveiled, the CES 2017 kick-off event for press, was a lackluster hodgepodge of items that begged the question: "Do we really need this?" Some gadgets were mildly entertaining or upgrades to existing hardware, but collectively, stuff existed for stuff's sake. CNN roamed Mandalay Bay's convention center halls to search for the most perplexing tech. Here's what we found. The Kérastase Hair Coach is a gadget for goldilocks. Powered by smart tech company Withings, the hairbrush connects to an app and is supposed to "improve hair health over time." 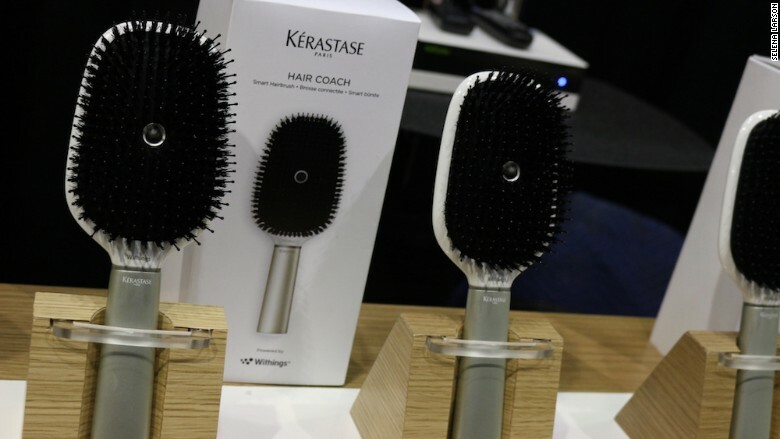 This means you can learn to "understand and improve brushing patterns" via a microphone that listens to your hair as it's brushed, sensors, and a corresponding app that tells you how damaged or dry your hair is. The brush is just a prototype, so I was unable to figure out just how tangled my hair was. If you miss the way texts from flip phones looked, you can pay over $100 for this modern day message in a bottle. 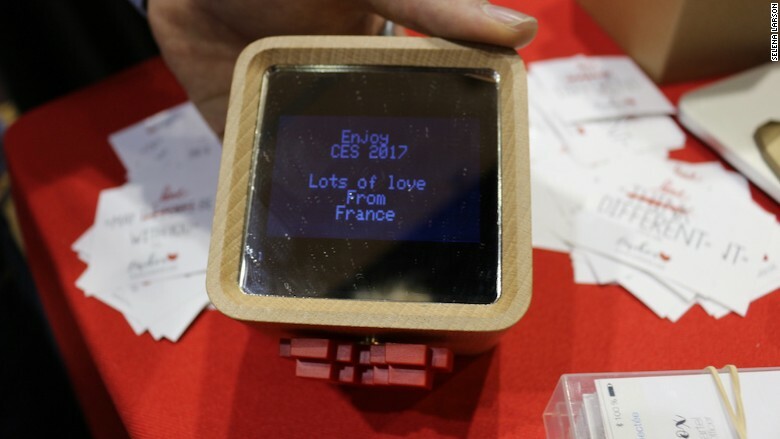 Made from beech wood with a mirrored digital screen inside, the LoveBox displays messages that are sent through the compatible app. If the box has unread messages inside, a heart outside the box spins. It costs $120 and begins shipping in the U.S. in June. Billing itself as "your smart pet assistant," Catspad is an automated bowl that distributes filtered water and food. 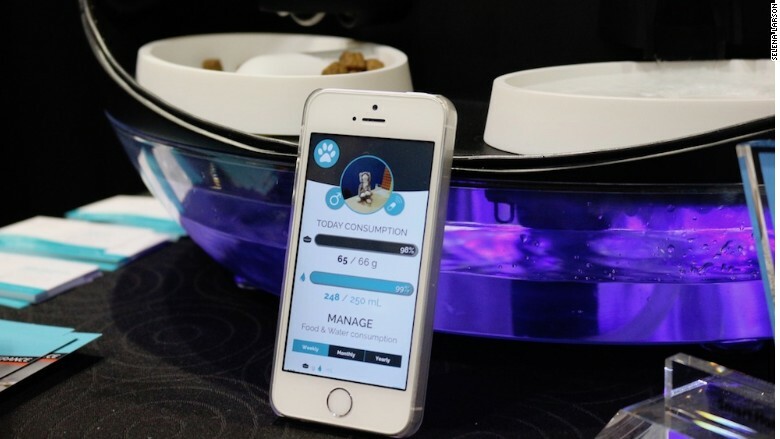 Two bowls automatically fill with food and water when you tell them to, and you can monitor and schedule your cat's meals on a smartphone app. It's launching on Kickstarter later this week for $199. It failed to raise its funding goal on Indiegogo last year. Certain types of tea are best brewed at different temperatures. Tea aficionados would be able to tell you that black tea requires hotter water than green or white ones. This cube from 42tea can tell you that, too. Select your tea on the 42tea app and then place the cube in hot water. The app will alert you when it's the right temperature to brew the selected tea. The company also makes teas -- 12 or 13 of them, the spokesman wasn't sure. The goal is to eventually make 42. The company plans to sell the cube for $55 later this year. Smarter thinks you'll spend $150 on a camera for your fridge instead of thousands of dollars on an internet-connected "smart fridge." 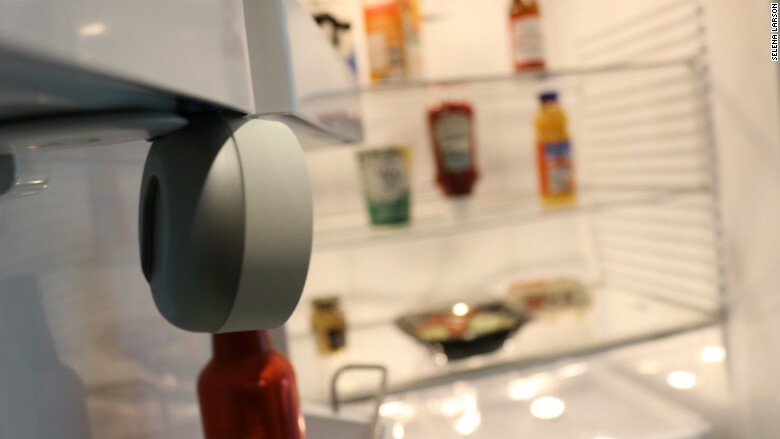 Smarter's FridgeCam sits inside the refrigerator and takes a photo of the contents before it closes, capturing that half full carton of milk or the Tabasco that you should have thrown out yesterday. You can view the photos on a compatible app to jog your memory when you're out grocery shopping. However, the camera only captures what's in front of it, so you don't get a full picture of the fridge's contents. In order to view what's inside the fridge door, you have to buy a second one. The company says the app will also provide recipe recommendations based on what's in your fridge.